The Go has ruffled a few feathers with its well-formulated package. 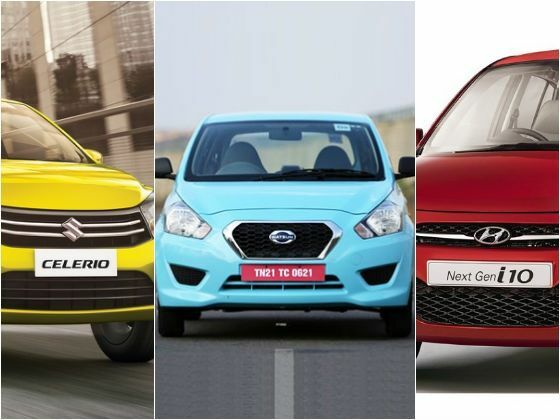 But how does it stack up against the Maruti Suzuki Celerio and the Hyundai i10? 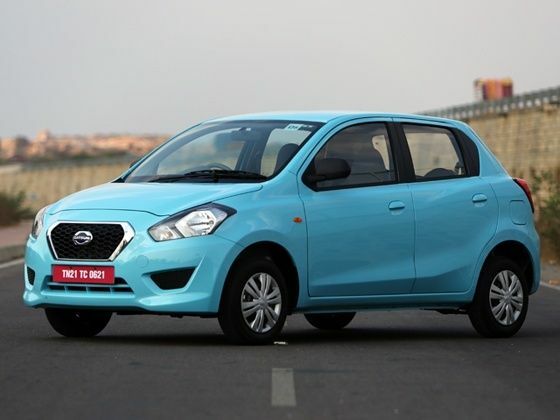 The Datsun Go is powered by the same 1.2-litre 3-cylinder petrol mill from the Micra mated to the same 5-speed manual transmission but comes detuned at 68PS in the Datsun. The extra power has been traded for better efficiency and the skinny 13 inch wheels complement it in this aspect. Datsun claims an ARAI certified mileage of 20.63kmpl. The Go measures at 3,785mm x 1,635mm x 1,485 mm (LxWxH) and has a 2,450mm wheelbase. It is the largest car in this class and has the longest wheelbase too. And finally, the Go has a boot space of 265 litres which is also the best in class. The Celerio is the only car in its class to come with an automated manual transmission option making it the Maruti’s standout feature. 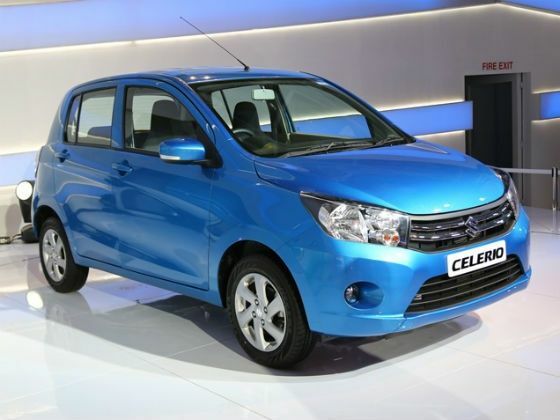 While the Go is available in only two variants, the Celerio will come in four for the manual and two for the AMT. The top-end Celerio will be almost Rs 1 lakh costlier than the Go but it also comes with a host of features like alloy wheels, front airbags and ABS, a proper audio system with USB and Bluetooth connectivity, steering mounted controls and a glove box. It is powered by the same K-series 998cc 3-cylinder engine from the Wagon R and produces an identical 68PS. It has an ARAI certified fuel economy figure of 23.1kmpl making it the most efficient car in its class. It measures at 3,600mm x 1,600mm x 1,560mm (LxWxH) and has a wheelbase of 2,425mm. Except for the base LXi variant which gets 13 inch wheels, all the upper trims get 14 inch wheels. The Celerio has a smaller boot than the Go at 235 litres. The i10 is the only car in this group that gets the option of LPG as an OEM fitment, making it the i10’s USP. 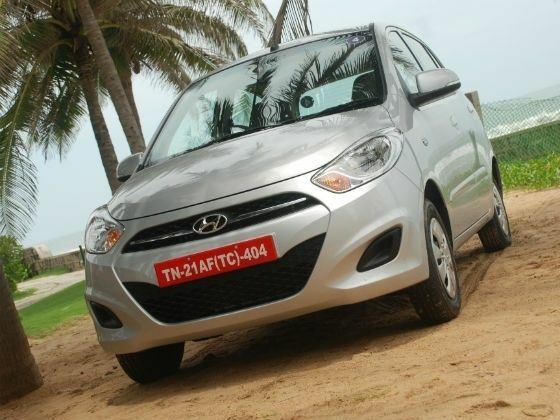 While the i10 is dated in this competition, it by no means looks considerably older than its rivals. Hyundai has discontinued the top-end Asta variant in the i10, hence it doesn’t get alloy wheels, airbags or ABS even as options. Except for the base variant that gets only front power windows, the top two variants get all four power windows while the top-end i10 gets a music system with Aux-in and USB ports. The aging i10 doesn’t sport Hyundai’s popular Kappa 2 engine since the launch of the Grand i10. Under the hood is the iRDE 1.1 litre 4-cylinder mill doling out 69 PS of power. The old workhorse is the least efficient engine in this comparison returning an ARAI certified fuel economy figure of 19.81kmpl. The i10 is also the smallest car here at 3,585mm x 1,595mm x 1,550mm. It also has lesser space on the inside due to its small wheelbase of 2,380mm and the 225 litre boot space is also smallest in class. The i10 range starts at Rs 3.87 lakh ex-showroom Delhi and goes up to Rs 4.39 lakh for the top-end Sportz variant.